Did you know that Paul Mitchell The School Bradley was the very first Paul Mitchell cosmetology school in the state of Illinois? 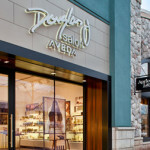 Established way back in 1996, we have continued to grow each year, and we even recently celebrated the opening of our brand new cosmetology school inside the Northfield Square Mall in Bourbonnais, Illinois. 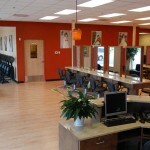 Home to 17,000 square feet of new classroom and salon space, our Illinois cosmetology school boasts 40 clinic stations. We are also equipped with the latest in educational audio/visual technology to further enhance the Paul Mitchell experience. And our students love being located inside a mall! Lunch time is a breeze, and the shopping is fabulous!